A water loving family wanted to break through their bungalow’s limitations – making more of the great outdoors. A rundown timber-framed bungalow and a determined family looking to make their mark in a new home. Set in a superb location with limitless views stretching down to the river and fields beyond, this bungalow needed to make more of the outdoors. We made it happen. Jasper and Jane - keen sailors and watersports enthusiasts - were all about the great outdoors. So the architectural design needed to focus on creating a functional and beautiful space for this young family – that felt like home from inside to out. To open up the space, they planned to add a side extension that would house three new bedrooms and an ample living space. As we started looking at the proposal and existing layout, we realised that what our clients wanted could be better met with a change to the plans. We knew we could make vast improvements to the use and function of the space, taking it more inline with the family’s lifestyle. Originally the entrance and parking for the house were at the front, taking up the priceless views. We moved the access to the rear and positioned the parking space behind the building. Turning the house around (and the plans on their head) meant that on arrival you were immediately greeted by the striking landscape. The master bedroom, kitchen/diner and living space also benefitted from the move. From fixtures (like installing a double-sided fireplace that could be seen from the dining area and living space) to fittings (we suggested a movable sofa that would pivot between view gazing and TV watching), the family and their needs were always front and centre in our minds. Being a timber frame kit-house with a timber shingled exterior, it’s no wonder the house was named Timbers. 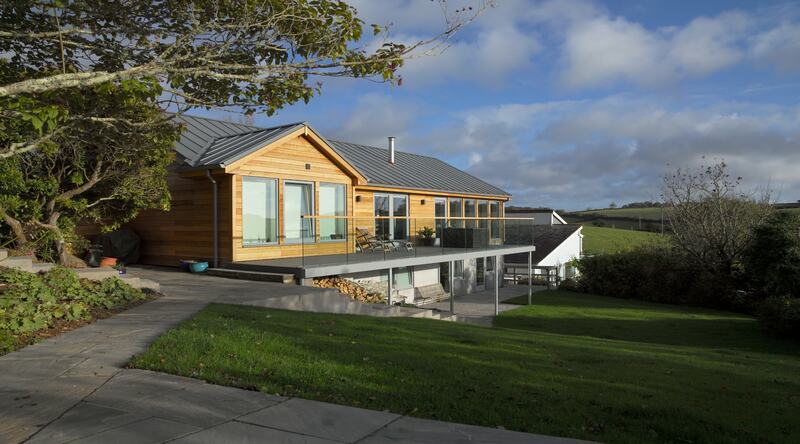 Keeping in character, the extension was constructed by North Coast Log Cabins and the whole facade was clad with cedar. 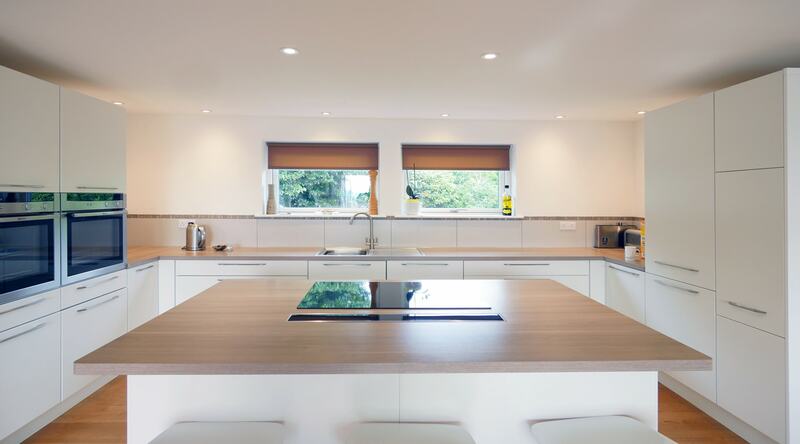 From a run-down timber framed bungalow to a wide-open family home that drinks in the stunning surrounding landscape, it’s now fit for this young family to set down new roots and flourish.